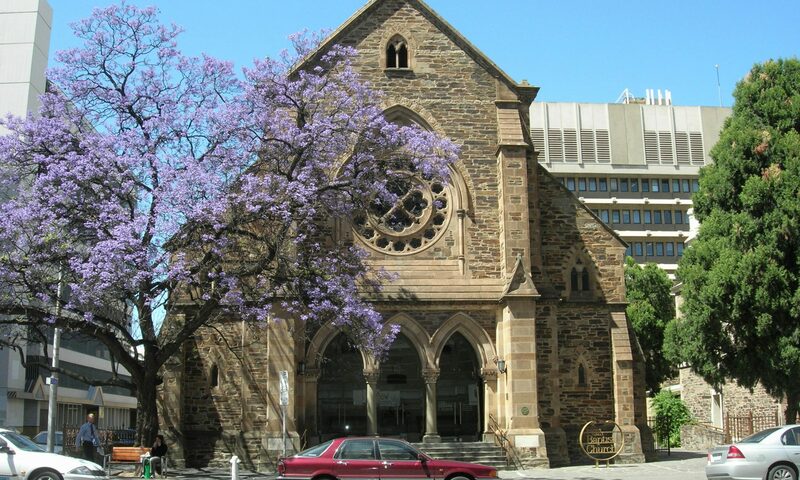 The Courtyard at Flinders Street Baptist is the hub of the life of the church during the week. 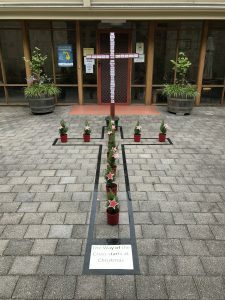 Hundreds of people would come through the courtyard most weeks to attend English classes run by the church, or to attend programmes conducted by a range of groups who hire the church facilities. 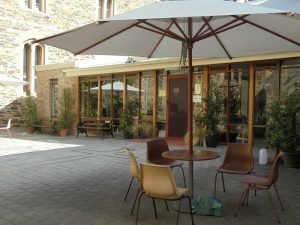 Our Courtyard is open every day for people to sit and enjoy some ‘time out’ in the city or have their lunch (+Toilet facilities). There are umbrellas for shade in the warmer months. For the last couple of years we have used the courtyard for public art installations. These have sought to engage the wider city community with some of the significant themes surrounding these two important Christian festivals.